Prez used to live with his grandfather, a crusty old sailor who took care of Prez and told stories about traveling the world. Then, as his grandfather’s memory got worse and worse, Prez took care of his grandfather. That is, until they came and took Prez’s grandfather away and put Prez in the Temporary. Now Prez is staying with the Blythe family on their farm for the summer–trying to help where he can, but not saying a thing. Enter Sputnik: a weird little alien wearing goggles and a kilt who always carries a doorbell with him. He tells Prez that 1) he’s here to look after Prez and 2) they only have until the end of summer to save the Earth. Yikes. On top of that, Prez can’t figure out why everyone just accepts Sputnik’s appearance out of nowhere and is so thrilled when he shakes their hand . . . oh, wait, to everyone else, Sputnik looks like a dog. This is going to be an interesting summer. Sputnik’s Guide to Life on Earth is just so utterly zany that I can’t possibly do it justice. It has all the fabulous writing of Boyce’s other books, which I just love. The characters are heartwarming and funny. I really liked the Blythes; they manage to be good people with kind intentions without being an overkill unbelievable foster family. I absolutely adore the way Boyce writes family conversations; it’s like this cloud of sentences competing on the page! And there’s Prez, sitting quietly in the midst of it all. Sputnik’s character is fabulously absurd–he adds quite the wild-card effect to basically everything. Gravity tides, real working light sabers, reverse grenades that put things back together . . . physics does not work normally around this strange being. But I love the way he sees the world, the way things we typically think of as amazing are unimpressive to him, but random ordinary things are important enough to be worth putting on his list to save the planet. He has a way of making you re-think priorities. 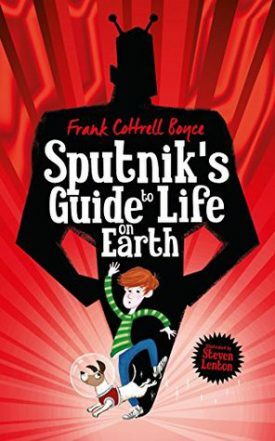 Basically, Sputnik’s Guide to Life on Earth is a fabulous, funny middle-grade story, and I would highly recommend it. Rory Rooney is all about being ready for everything, but the truth is there are some things you just can’t prepare for. Like being bullied by the biggest kid in your class. Or being accused of trying to poison him after he steals your food and has an allergic reaction. Or falling in a river and turning green. Broccoli green. But surprisingly enough, being green is something Rory can deal with. The doctors are baffled, but he’s convinced that his verdancy can only have one diagnosis: super. I swear, where has this author been my whole life?! 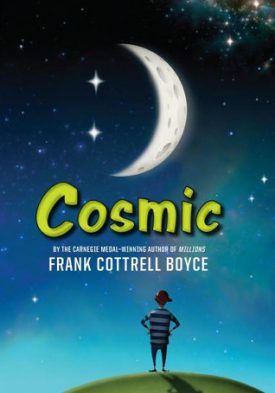 I just recently discovered Boyce’s writing when I read Cosmic, and The Astounding Broccoli Boy is another homerun of an absurd middle-grade adventure story. 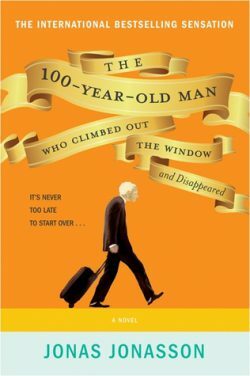 The author does a great job of creating relatable but interesting characters. The situations in which the characters find themselves are absolutely ridiculous–totally the realm of tall tales–yet with enough Truth (the kind that impacts people, not necessarily the kind that is scientifically provable) that the story is still grounded and real to the reader. The author uses the ridiculous, the humorous, and the adventurous events the characters encounter to express something practical and immediate, and I love that. Plus, the story is just fun, full of hijinks and misunderstandings and fun references. I would definitely recommend The Astounding Broccoli Boy for middle-grade readers in particular, but also just in general; it’s good fun.